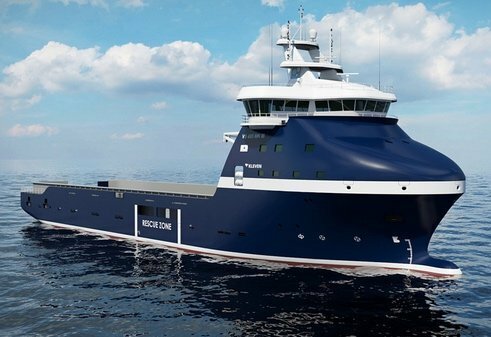 Good news for OSV operators at last, or is it? In truth, the reduction will be as much as 2m bbls per day which is around 2.5%. of total output, which is not an insignificant amount. However first let’s not forget we are producing 10% more than we were when the crisis hit, the optimist will now be thinking that demand has followed suit. This reduction in output is obviously an attempt to reduce the stockpile, which as reported yesterday rose last month because of the countries exempt from the agreement. The US was not even mentioned in the cuts or ‘curtailments’ and last week alone it increased its oil production by over 990,000 bbsl. I am not going to be sceptical (sarcastic, maybe) – any news of action is good but in the past few months we have witnessed Iran, Iraq, Saudi Arabia, Russia and the US produce record volumes of oil, and simple arithmetic tells us that this does that not mean supply will balance with demand anytime soon. On this subject, we should not forget that the first two words from Trump or his ‘Trumpeteers’ at any rally is “America First”. There can be no doubt that his administration in the US will produce as much of any commodity it can to enhance its economy and it now produces 9m bbls per day. They are forecast to be the biggest producers in the world by 2017. We are all aware that this reduction in output is not an attempt to immediately increase oil prices; it is a cartel attempt to rebalance supply and demand. Once that is done, then we may see further reductions and a worthwhile increase in oil prices should producers deem it beneficial to them. With technology improving, electric cars, windfarms, more nuclear power, (for the electric cars) more economical engines and other initiatives there should be less requirement for oil in years to come. Another newspaper fact a few days ago, was that because of the improvements in electric car battery power alone the demand for gasoline will fall by 9% by 2035. I watched eagerly oil producers and operators stock prices over the past few days which interestingly did not change that much but I did make a few observations. Oil companies are always over cautious but they are benefitting from a slight upward tick. Strangely the consensus of the industry has always been that IMR work will kick off first, and very quickly however with companies like Saipem and Technip shares have only risen by between 1.5 to 4% with Saipem being the largest. This indicates there will not be a large increase in activity in the short term. Southeast Asia vessel operator share values have, let’s just say, been inactive with little market sentiment towards there being light at the end of the tunnel light at the end the feeling of pending doom will time to vanish. An American type protection from full bankruptcy as implied recently will help the operators avoid the grim reaper but puts far more credit risk onto the financiers and day to day suppliers. It also does not exempt directors from the possible charges of false representation published recently. The North Sea and global operators are witnessing small increases with the Middle East operators feeling the same pinch as Southeast Asia minus the cavalry of government support en-route. I believe with the influx of operators from Southeast Asia to Aramco that worse is yet to come for the Middle East. The Americans are seeing huge percentage gains in share prices which I do not quite understand as shareholders have significant risk if a company declares Chapter 11. There is the adage that 100% of nothing is still nothing but in the same vein buying shares at $2 that were $60 two years ago, must make sense somewhere. I often wish I had stayed off school and entered the world of finance. We are told that it is not revenue that matters its utilisation but revenue brings working capital as does utilisation if you get paid and I would be more concerned about the operators who have fixed long term at break-even rates. Especially if we are as suggested heading for a rebound. It’s also year-end and IOC’s are working on budgets so expect the inevitable requests for another round of cuts. The fact you have contracts do not matter one iota. I read a paradoxical comment that this is just another cyclical event (which was previously true) and all will return to normal very soon which was obviously written by someone who also has the joy of reaching puberty sometime soon. This is an industry step change which will change the structure of how we operate. There is a first time for everything and I could be wrong but this is not the same as 1985 or 1998 simply because in those years we did not have the same degree of vessel over supply. This is what I would term a double related event as it will take many years for the proportion of the 1,500 laid up vessels that will get back to work without either government support or the financiers becoming proactive. BP is now going ahead with the Mad Dog project, (I wonder when they named that)? but we see very little else to be optimistic about. Even with Mad Dog the original budget price was $20bn, it is now I believe less than half that. The rig will be built, the subsea work will be completed along with all associated works to the same level of quality as the $20bn budget so where will the savings come from? Simple answer is the contractors’ already negative profits. My point here is that even if the oil glut is balanced and oil reaches $100 per barrel we still have years of turmoil ahead of us fulfilling previously made commitments in both financing and pricing to IOCs. Finally, to my favourite subject and the real reason that many operators will inevitably fail which is the fall in asset values. When loans and the bonds were originally ‘taken’ it was mostly in good faith to accelerate company growth in a booming market. But the impetus for operators now has to be the drastic action required if they want to continue to be a player in the new oil industry, which requires that we amend asset values to true valuations and be competitive. Take Mad Dog as an example at 50% rates of what they were two years ago, which is still better than they are today. In Norway and Southeast Asia we are now witnessing many large impairments as proactive measures to not only balance asset prices but as a means to consolidate fairly. We will see many more at year-end with I believe surprises if not shocks to come. Not being a cash item without debt it would be simple but it will of course significantly devalue companies and curtail ability for future growth. (If there is any chance of having any). We have delayed this so long that with vessel values we are moving into Arthur Anderson and Enron territory. A time which will be engraved in our minds. Amongst other issues Enron failed because they deceived their shareholders, creditors and financiers by misrepresenting their worth. Is it not the same when an owner states his assets are worth more than they are? I will not repeat previous comments on how assets are priced apart from to reiterate that in many cases values were kept high because of visibility of earnings and belief in the ability to pay down the high debts. Which in a growth market is achievable, Arthur Anderson was held partly to account over the Enron debt and whilst I do not compare this with that surely keeping asset levels high falsely to either raise more capital, refinance or to deceive investors in covenant compliance is not completely correct. (Chose my words carefully there). Many questions are now being asked in Singapore and they have even said that prosecutions are probable for a variety of reasons misrepresentation being one. My belief now is that in pricing rather than give vessels higher than possible sales values through visibility of earnings that they should be given lower values if laid up or have no possibility of work to kick start the S&P industry and to force operators to scrap vessels that they know will never return to employment. If within the P&L a vessel’s contract is added to the asset as a type of enterprise value it should be treated separately as say goodwill. Operators require the financiers, valuers and most of all auditors support in this. A quick example – recently a UT755L with DP2 of eight years old sold at a price between $5m and $6m. Yet laid up there are hundreds of the same units built in the ‘90s and early 2000s carrying excessive book values with some even over $20m. On a laid-up vessel there is very little maintenance and class is allowed to lapse. On a working 2008-built 3,300 dwt PSV class renewal would be expected to cost between $1m to $1.5m. How much will it be for a unit that’s been laid up for three or four years? Experience tells me it is between $2m and $3m and if that’s the cost to reactivate a 20-year-old vessel then surely it cannot compete against the units that are 10 years younger selling at $5m. We must face the reality today rather than years down the line that it will not be financially feasible to reactivate. Otherwise all is lost. As an example of the optimism being misguided, someone displayed a photo of the Moray Firth in Linked In with only one rig remaining, stating that rigs are going back to work. Sorry to disappoint but many have been scrapped or mobilised elsewhere for lay up, which only further puts strain on the second cycle of laid up vessels as less will be required unless more rigs are commissioned now and with three years to build we are a long way away of any improvement. Two upsides which I will leave for the New Year is that like OSV operators IOCs need to sustain their worth and they can only do this if they maintain their reserves which must be falling. (That’s just a comment I may be wrong). Hence they need to explore for new oil or develop existing fields. The second one is that only two offshore vessels were built in 2016. The IOCs do not like vessels over 20 years old meaning that in a very short time the 1999 vessels will be unemployable and hopefully scrapped or relocated to a different industry. The oil industry will return to prosperity and the vessels being sold today at low prices which are five and 10 years old will be the deal of the century and increase in value. The astute operator that does not use this to duplicate the increased financing bubble of 2012 to 2014 will benefit by having little if any pricing competition. I really dislike being negative but we must get real, waiting for it to get better is like having malignant cancer, without treatment it’s just going to get worse until it kills you off completely.